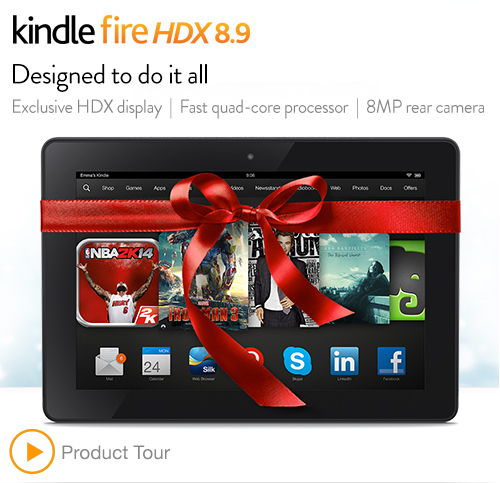 *HOT* Amazon is now offering the 8.9" Kindle Fire HDX on a Payment Plan! *HOT* Amazon is now offering the 8.9″ Kindle Fire HDX on a Payment Plan! I just logged into my Amazon account and saw an amazing special offer! If you’ve been looking at a Kindle Fire 8.9″ HDX, you may qualify to make four payments of $94.25! It looks like you will pay $94.25 up front via credit card, and your credit card will automatically be billed three more payments, all 90 days apart.